Dr. Christina Drake won the UFF Hero of the Year Award. Video1. Video2. Video3. Petition: Stand with the faculty and students at Florida Polytechnic University continues here. Florida Poly faculty members spoke at the BOT meeting on May 23, 2018. 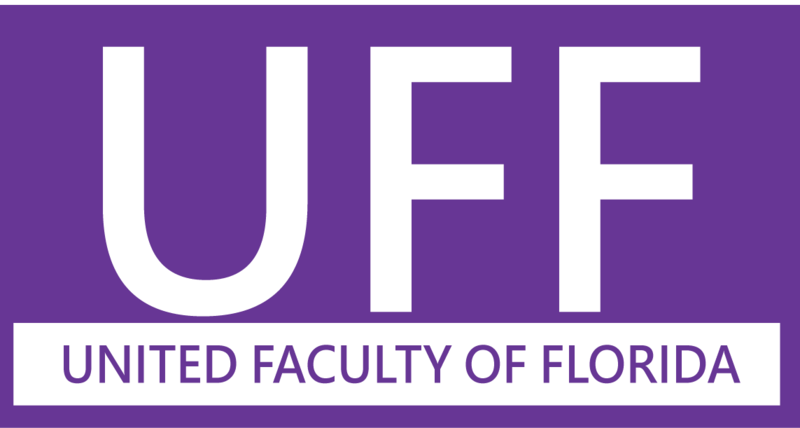 The faculty of Florida Polytechnic University has spoken and by a vote of 38-6 becomes the newest United Faculty of Florida (UFF) chapter. The votes to join UFF were cast by 86 percent of the faculty with 88 percent of the faculty voting. The vote count followed a three-week period of balloting by mail and was certified by the Florida Public Employees Relations Committee today. UFF now represents faculty at all 12 Florida public universities. “Faculty came to this brand new institution to redefine STEM education and build a new university from the ground up. Collective bargaining unionization ensures that faculty are an important voice at Florida Poly from the very beginning said Dr. David Foster, associate professor of computer engineering at Florida Polytechnic. “Together, as equals under state law, faculty and the Board of Trustees can define the foundation upon which we will build the university and use our academic expertise to advocate for what is in the best interests of the students and public we serve. Unionizing also brings a critical sense of stability and legitimacy to Florida Poly, allowing us to attract and retain the highly qualified faculty we will need to move forward and create the brightest possible future here. “I want to congratulate the dedicated faculty at Florida Polytechnic University as they become a part of the United Faculty of Florida, said Dr. Jennifer Proffitt, UFF president. “This vote is based on the premise that the faculty, who are the cornerstone of this institution, should have a collective voice in determining what is best for the university and the students it serves. This isn’t about confrontation; it is about ensuring that all stakeholders have a voice in determining the future of the university and ensuring that its core mission -- the education of the next generation of leaders -- is fulfilled to its greatest potential. We look forward to working with these committed and dynamic faculty members for the betterment of Florida Polytechnic University and higher education around the state. Download a PDF copy of the news release.